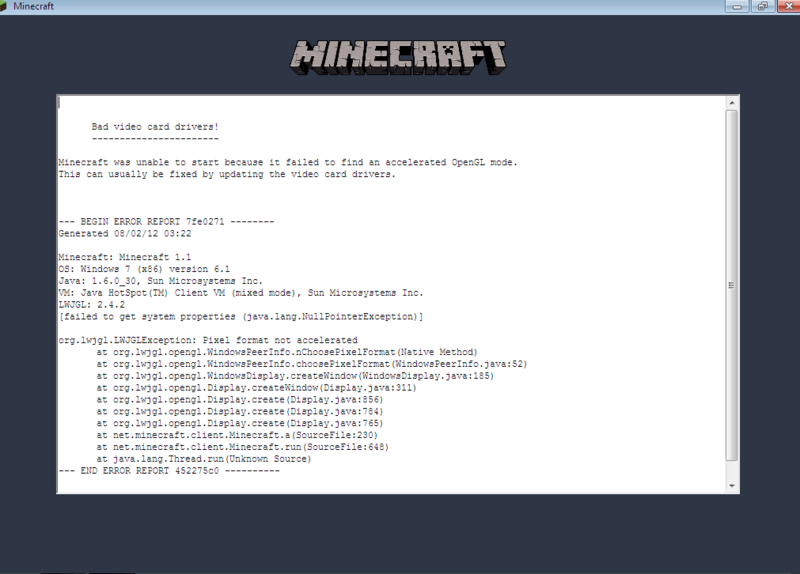 The Minecraft “Bad Video Card Drivers” Crash could be frustrating since it stops you from playing Minecraft. And before you could get this problem solved, there is nothing you could do to the game. The first thing we can do when we are addressing this crash is to make sure that Minecraft is up to date, which applies to the game itself. You can check the version number of Minecraft on the bottom right corner and the Minecraft Launcher version under Launcher Log tab. Then compare the version number with the one that could be found on Minecraft website to see if you have the latest version installed. Second, you need to make sure that you have installed the latest Windows Update. 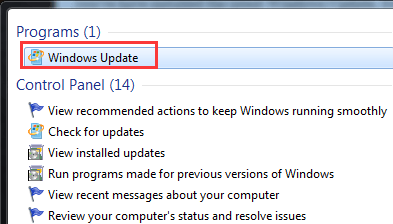 You can type windows update in the search box and open the Windows Update program that comes up. 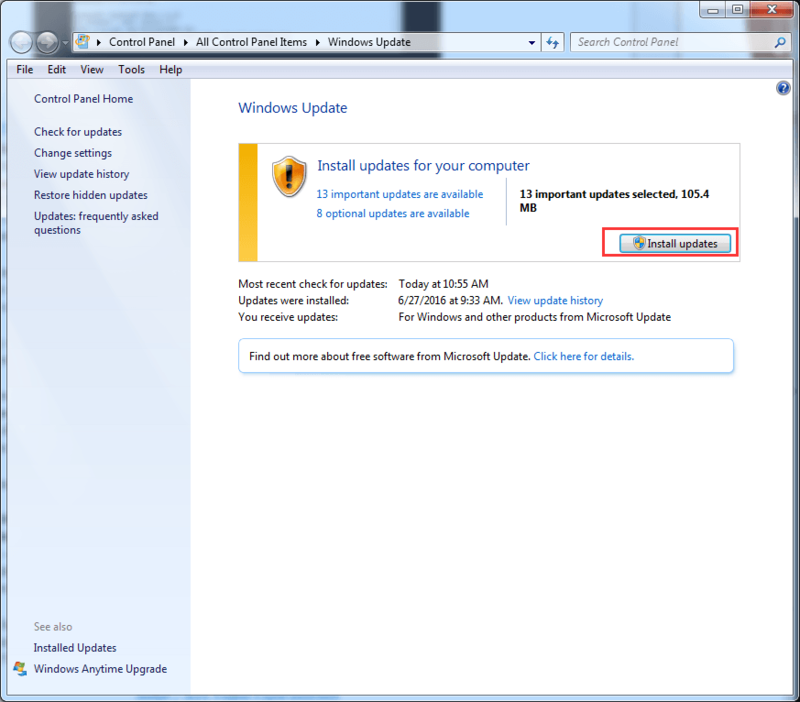 If you can see some updates on your computer, click the Install updates button here and let the system run the updates. 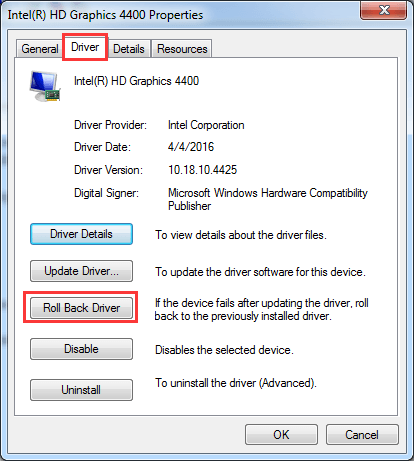 This step could help you update your video card driver or graphics card driver when there is update detected, which might fix the problem. Thirdly, you need to make sure that you have the latest version of Java installed on your computer also. 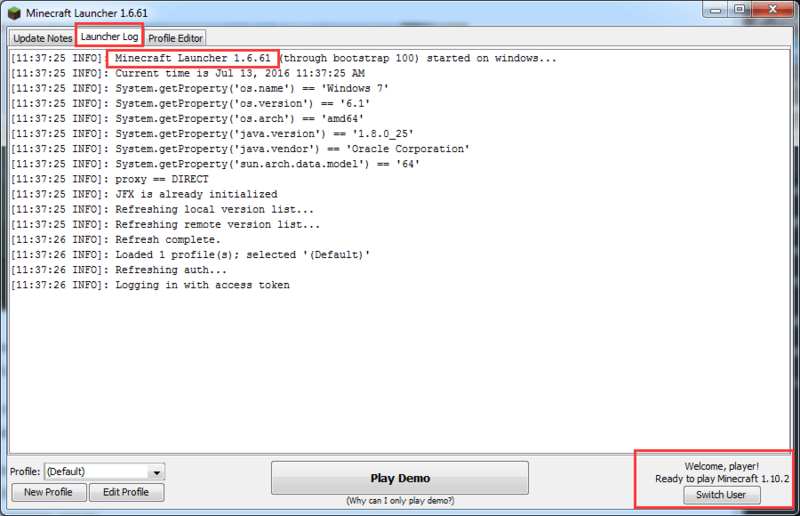 You could check the version of your Java by opening this webpage in Firefox or Internet Explorer browser. If you don’t have the latest version yet, please update it. When you have get the preparation done, it is time for you to follow the instructions below to get the problem fixed. 1) Click Start button, then select Control Panel. 2) View by Small icons and select Display option. 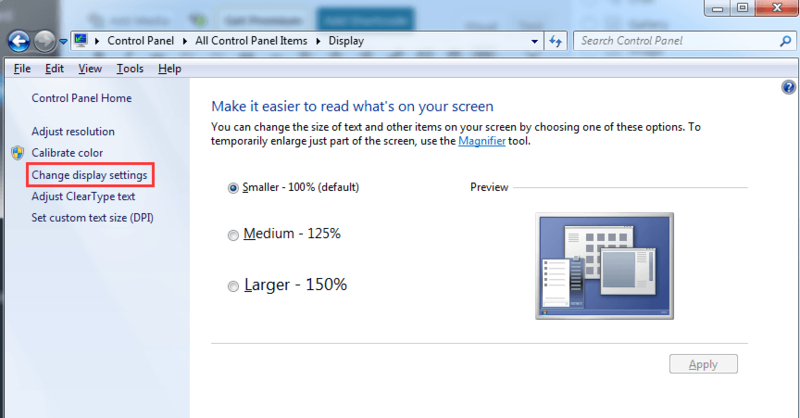 3) On the left panel, click Change display settings option. 4) Then select Advanced settings. 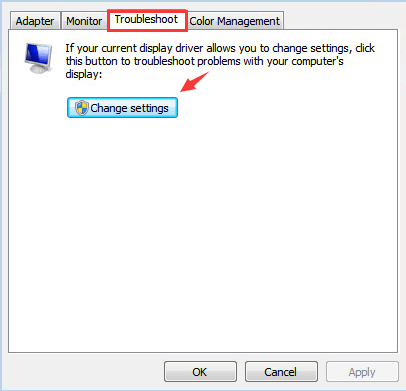 5) In Troubleshoot bar, select Change settings. 6) Move Hardware acceleration slider to Full. Press OK and exit this panel. 1) Go to Device Manager. 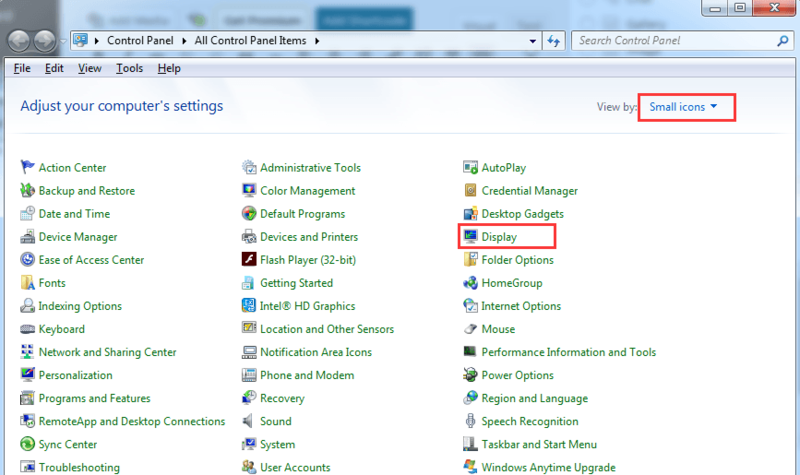 2) Expand Display adapters and then right click on the device under this category and choose Properties. 3) In the coming up window, go to Driver tab and then click the Roll Back Driver option. 4) Click Yes when this window comes up. 5) Restart your computer after this change. 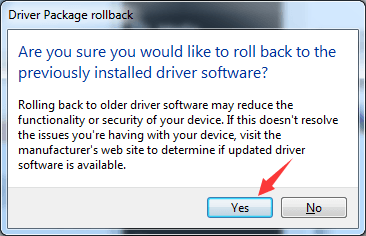 Note: If the Roll Back Driver button is grey here like the screen shot below, then you might not be able to proceed with this method. It is suggested that you try the other methods below. 1) Press Windows Key + R at the same time to invoke a Run command. Then type in dxdiag and press Enter. 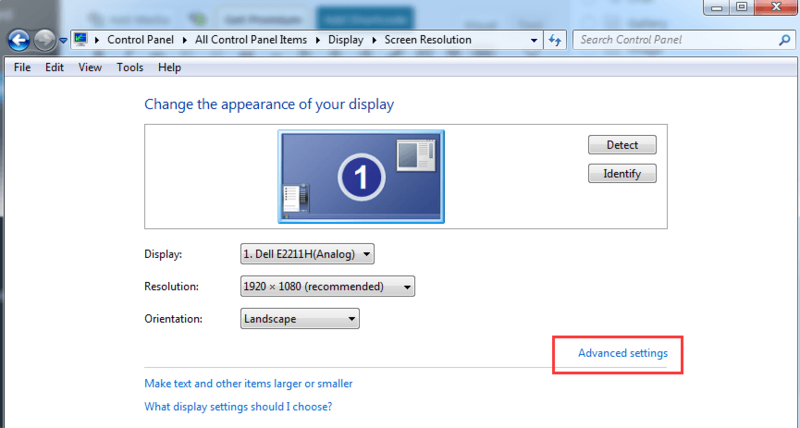 2) Go to Display tab and locate the video card device information. Base on the device name of your video or display card, go to the manufacturer’s official website and look for the latest version of driver for your video card. 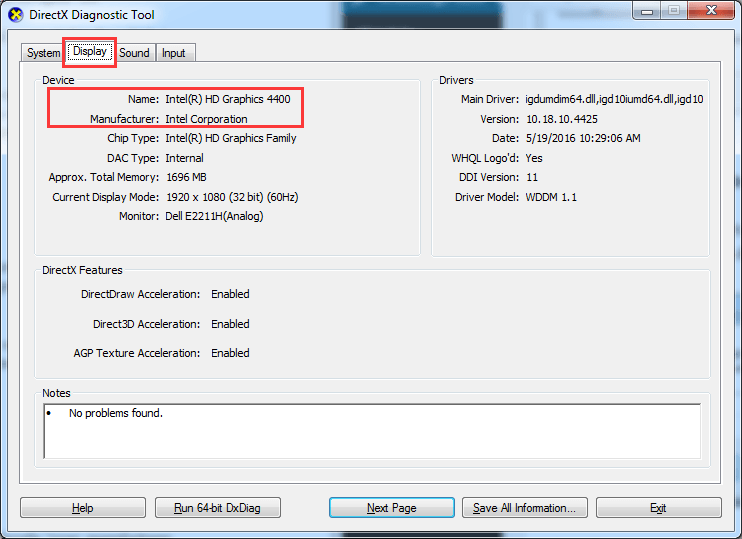 Intel – How to download Intel display card driver? NVidia – How to download NVidia graphics drivers? 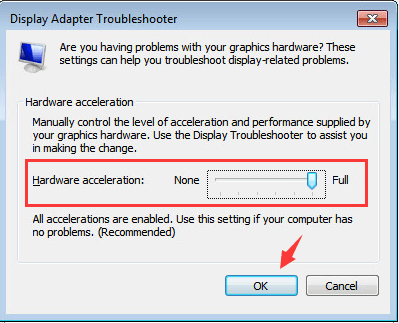 AMD/ATI – How to download AMD Radeon HD Graphics driver? If you have video card made by manufacturers other than these three listed here, you could also find the correct driver by searching on Google. 3) Once you have identified and download the latest version of the video driver for your video or display card, please install as instructed. The download file is mostly an .exe file, so you just need to double click the downloaded file to run the installation. If the file that you have is not an .exe file but an .inf file, you might need to refer to this post to see how you could run the installation. 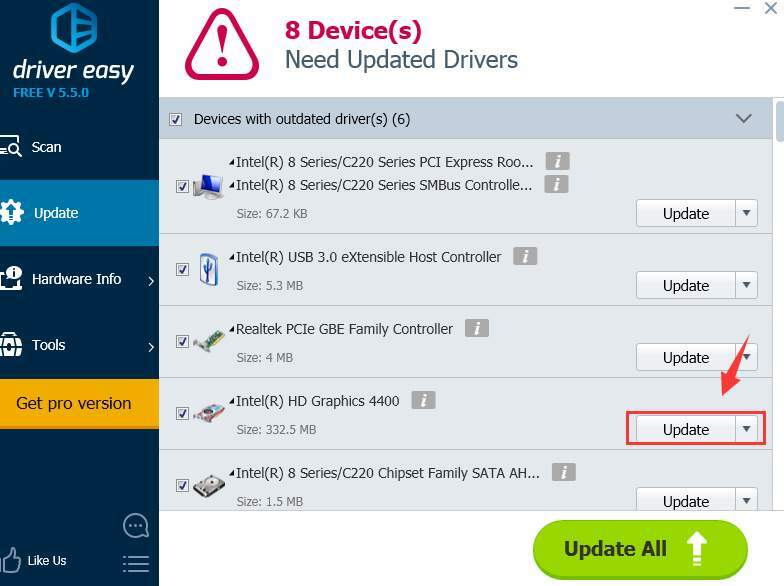 If you don’t want to waste so much time trying to get the problem fixed, here is a time-saving alternative we recommend: use Driver Easy to help you with it. 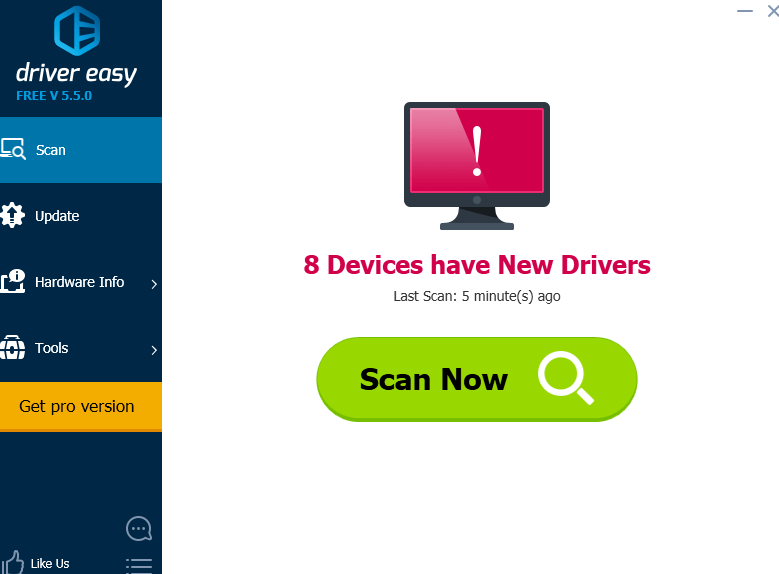 Driver Easy is a software that helps you detect and download the needed driver in your computer. There are only two steps for you to take. 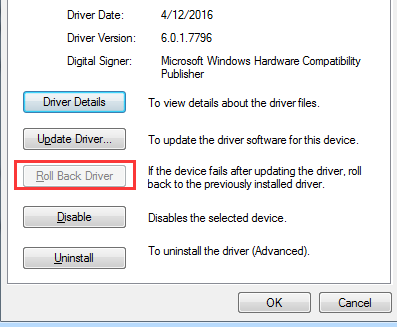 2) Choose the driver you need and then press the Update button to download the driver file. As you can see, the free version is equally capable as the professional version of Driver Easy. 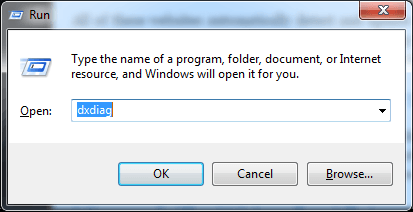 But it is required that you install the downloaded drivers manually. Here is a post showing you how to do it. If you are looking for a faster download and update speed and more features such as driver back up and driver restore and also a professional technical support team, it is always suggested that you use the professional version of Driver Easy. Moreover, we have a 30-day money back policy, so if you find our product or services not satisfactory enough, you could always ask for a refund.